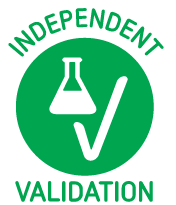 Picking recommended ELISA Kits will save you time - yet all 79 products covered by our Money Back Guarantee! 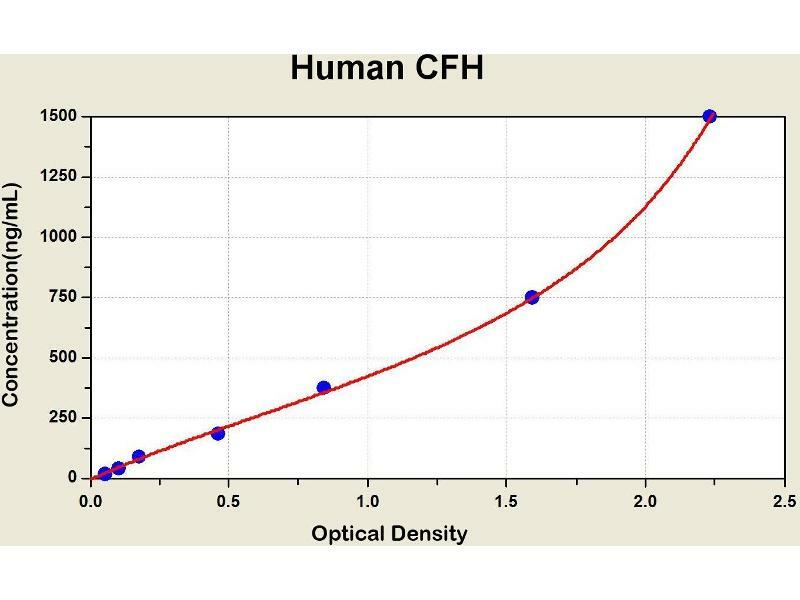 Diagramm of the ELISA kit to detect Human CFHwith the optical density on the x-axis and the concentration on the y-axis. A OD450 measurements for the diluted standard supplied with kit ABIN2859252, blank samples, and positive and negative control samples and the corresponding calculated concentrations. 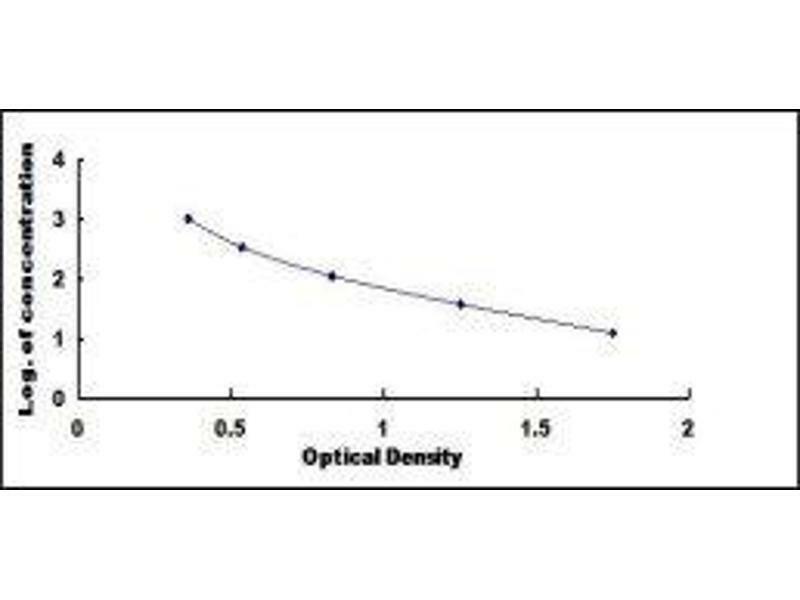 B Standard curve reflecting a twofold dilution series of the kit standard between 0.78ng/ml and 12.5ng/ml. 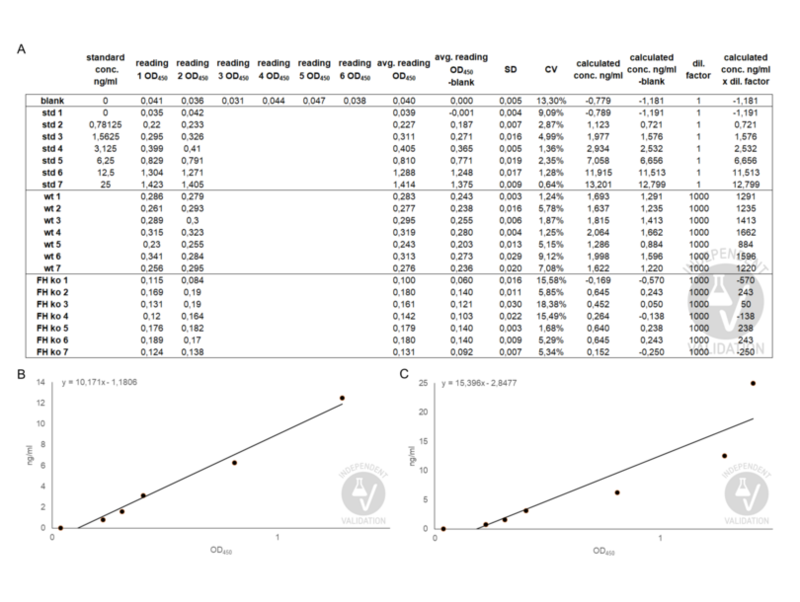 C Standard curve based on the serial standard dilutions ranging from 0.78ng/ml to 25ng/ml. 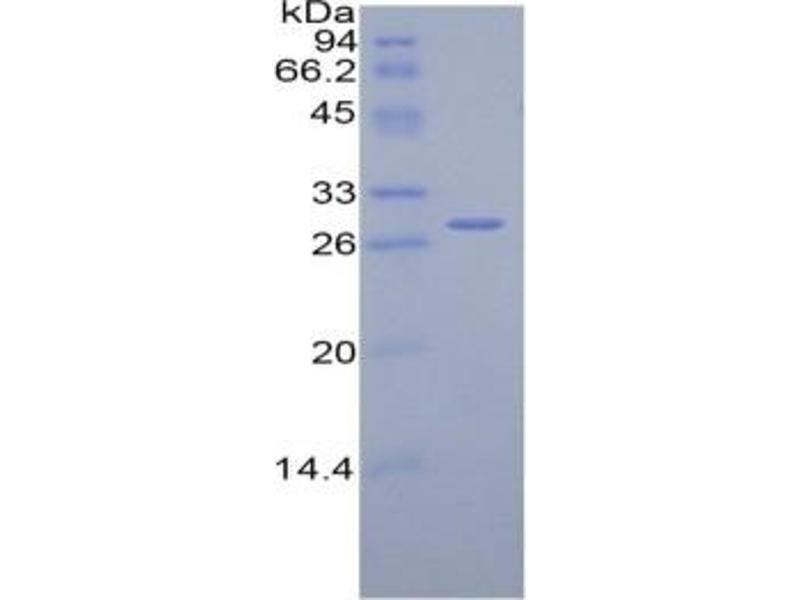 Mouse Capture antibody from the kit in WB with Positive Control: Rat Serum. 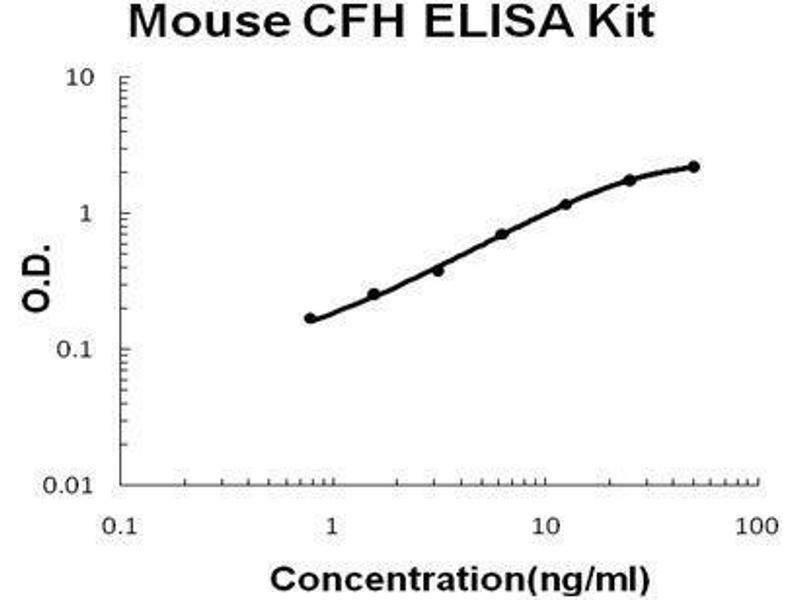 SDS-PAGE of Protein Standard from the Kit (Highly purified E. coli-expressed recombinant rat CFH). 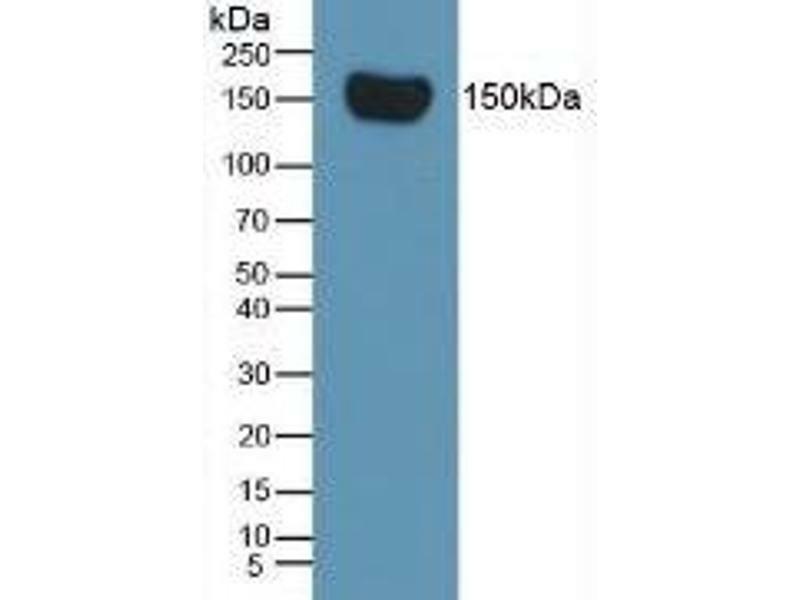 This gene is a member of the Regulator of Complement Activation (RCA) gene cluster and encodes a protein with twenty short consensus repeat (SCR) domains. This protein is secreted into the bloodstream and has an essential role in the regulation of complement activation, restricting this innate defense mechanism to microbial infections. 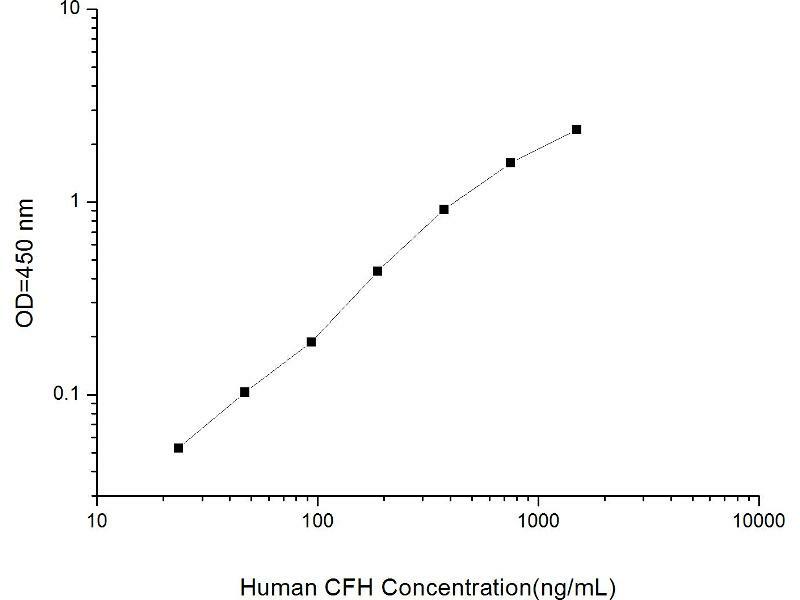 Mutations in this gene have been associated with hemolytic-uremic syndrome (HUS) and chronic hypocomplementemic nephropathy. Alternate transcriptional splice variants, encoding different isoforms, have been characterized.